There’s something to be said for a company’s No. 1 selling model. Around for over 20 years, the Nissan Altima is a staple in the automotive world, and it’s taken on some massive players in the midsize sedan segment, and it’s done so with aplomb and skill, keeping its own, and often coming out on top of the competition. Recently redesigned, the brand-new 2015 Nissan Altima is able to stand out by offering an almost unrivaled blend of performance, comfort, and fuel economy. Moreover, there are a host of standard and optional features to choose from. There are two engines available for the 2015 Nissan Altima, and both are equally fun to drive and responsive. The first is a 2.5 L 4-cylinder that produces 182 horsepower and 180 lb-ft of torque. Then there’s the 3.5L V6 that pumps out 270 horsepower and 251 lb-ft of torque. The latter engine is only available on one trim level: the 3.5 SL, which is also the top-of-the-line version of the 2015 Altima. Regardless of engine, the same transmission remains; an Xtronic CVT. There are available paddle shifters; however, they are only available with the 3.5L model. 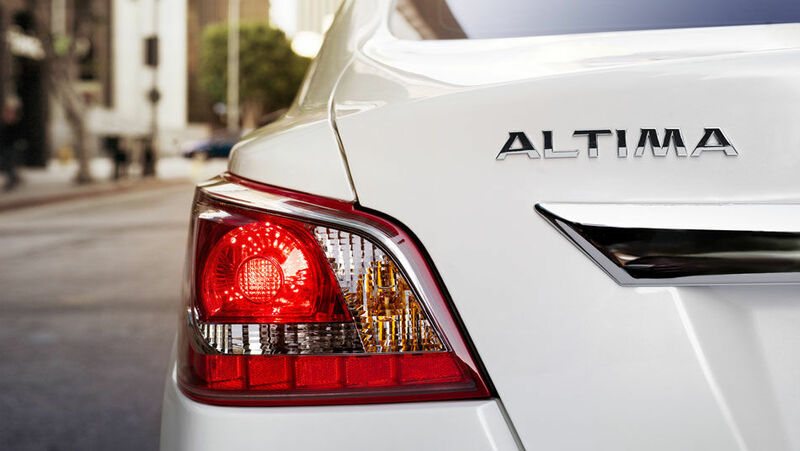 The exterior look of the 2015 Nissan Altima is both classic and sophisticated. While it does feature some of the modern Nissan lines we’ve all come to appreciate (such as the lobster-claw lighting and signature Nissan family grille), there’s also something vaguely refreshing about the Altima. It’s timeless and crisp. The overall design will appeal to many, and obviously has as the company’s bestseller. Inside, the 2015 Nissan Altima will keep you cozy and comfortable with available features, such as leather seating, heated front seats, satellite radio, Bluetooth, backup camera, push-button ignition, and even mood lighting. It doesn’t matter if you’re a young couple about to start a family or parents who’ve just had their youngest move away to university, the 2015 Nissan Altima has you covered with five available spots and a trunk that will swallow up 436 litres of cargo. 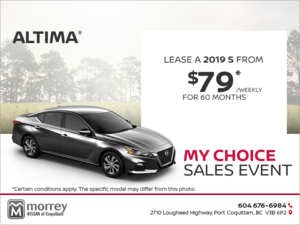 Comfortable and roomy, the 2015 Nissan Altima features such interior amenities as available NissanConnect Apps, satellite radio, Bluetooth, heated front seats, Nissan Intelligent Key, push-button ignition, mood lighting, and even a Bose Premium Audio system. The 2015 Nissan Altima is an excellent choice for those in the midsize sedan market. And if it’s on your must-drive list, make sure you stop by Morrey Nissan of Coquitlam and book a test drive today.